The best creative content starts with a rock-solid kick-off process. The creative brief has been king for a long time for most marketing and creative professionals. But today’s teams are expected to move faster than ever—which is why the most successful ones are embracing a new approach. 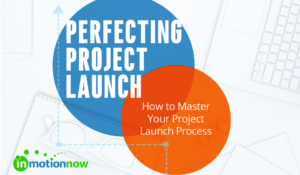 In Perfecting Project Launch, expert marketers and creatives share how they’ve accelerated their kick-off process to match the pace of today’s industry—and how you can easily make the same improvements for your team. A well-crafted kick-off process is critical to quality creative content. Get the ebook to learn how!